Are you looking for investment opportunities? If that’s the case, why don’t you invest in real estate? Real estates are one of the most valuable assets to invest in these days. The price of your apartment / house will only increase with time and with the increasing population, demand for real estate will never go down. Godrej Alive gives you one such golden opportunity to invest your hard earned money in. Aimed at building affordable and luxurious apartment units, Godrej Alive is brilliantly equipped with various amenities and advantages. If you want to know more about this project, go through this article. The residence is planned to bring modernity and amenity together which makes its infrastructure ultra-modern and strong. The apartment is surrounded by luscious greenery that will please both your heart and mind. Godrej Alive wants to make your stay as safe and comfortable as possible. It has following basic amenities.  A digitized and well equipped library for students and knowledge enthusiasts.  A luxurious and unique party are for celebration purposes.  A 24 hour security system with well placed CCTV cameras, watch guards and electrical fences.  A multi cuisine restaurant for your sudden cravings.  A multi-gym for your daily workout routines and activities.  A children’s playing ground with swings, slides and other props for the entertainment of your little ones.  A sports club for those who want to learn and participate in various games and sports.  Adult and kids swimming pool which are completely institutionalized. It is located in LBS Marg in Thane Mumbai. Godrej Alive is at a convenient location from which schools, hospitals and colleges are all at a nearby distance. Other than that the location itself provides brilliant connectivity to Mumbai, Navi Mumbai and few places of Gujarat. It is only 13 kilometres away from the international airport, 20 kilometres from IIT Bombay, 0.5 kilometres from Thane station and 1 kilometre from Mulund station. Godrej Alive Thane, with its amazing social infrastructure is a great place to live in. There three types of floor plans, made keeping in mind the affordability and luxury of prospective owners. 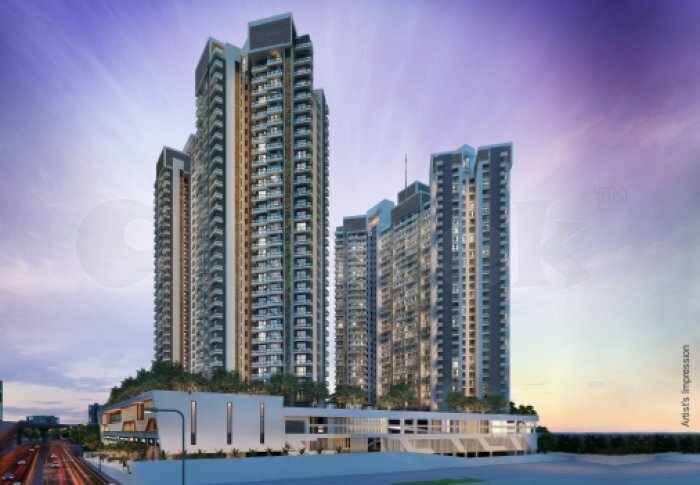 4BHK – these units are spacious with a balcony area. Spread over an area of 1076 – 1323 square feet, these are well ventilated and perfect for any family with large area requirements. 3BHK – also spacious but has no balcony. Spread over an area of 860 – 930 square feet, these are suitable for expanding families. 2BHK – well ventilated and sprasd over an area of 680 – 721 square feet, these are perfect for new couples. This brilliant project is said to have affordable price range, hence making it a perfect investment option for people belonging to different financial conditions in the society. The exact price is under request and will released soon.